Spring break is just around the corner and the beach is beckoning many Oregonians to come play. 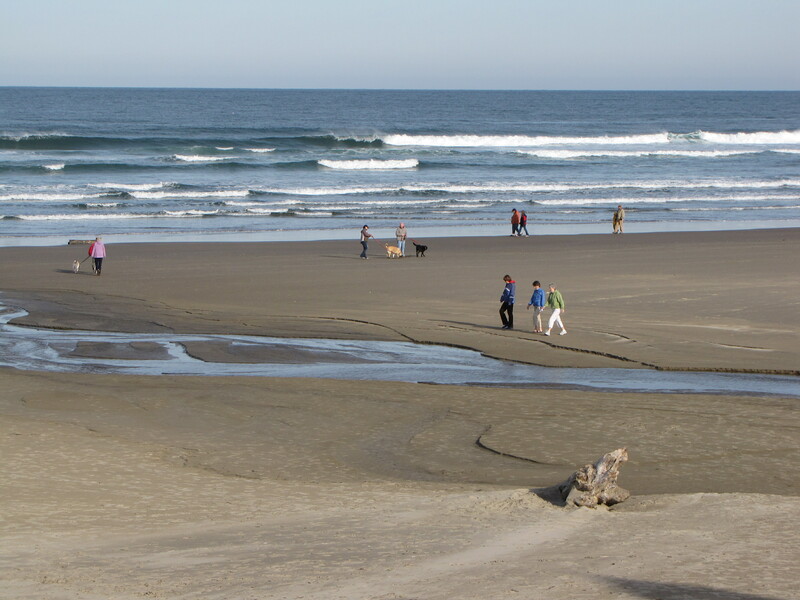 Spring Whale Watch Week (March 24–31), the Great Oregon Spring Beach Cleanup (March 31) and discounted camping rates make spring break a popular time to visit the coast. Visitors are reminded to play it safe at the beach and to keep an eye on the ocean. “The wild weather that we’ve experienced recently is a reminder that March is ‘Beach Safety Awareness Month’ for a good reason,” said Robert Smith, Oregon Parks and Recreation Department (OPRD) beach safety coordinator. “It’s the most dangerous month on the coast. The combination of powerful seas and eager visitors has historically added up to more rescues and deaths than in any other month,” Smith noted. “Anyone responsible for the safety of children should watch them at all times, and make sure they’re wearing life jackets,” he added. Having fun and staying safe is the most important part of any successful trip, but saving money is always a benefit. Whether you’re planning an overnight vacation or just a day trip – savings are available throughout the discovery season. Standard camping sites are discounted $4 – 5 per night and deluxe yurts/cabins are discounted as much as $20 per night. Visitors can buy 12 or 24-month day-use parking permits at a variety of locations around the state, including most major park offices. Or call the Oregon State Parks information center at 1-800-551-6949. The 12-month permit is $30, and is discounted once a year, in December, when it sells for $25. The 24-month permit is always a bargain at $50. Knowing what the hazards are before you go can help you avoid getting caught in a dangerous situation. Safety tips including what to do if you get caught in a riptide and awareness information about other potential hazards such as floating logs and sneaker waves are found on the OPRD Oregon Beach Safety website (http://www.oregon.gov/OPRD/PARKS/beach_safety.shtml).